Solid Stainless Steel 42 mm Diameter Case and a Solid Stainless Steel 20 mm Lug Size Curved Bracelet with Hidden Butterfly Push Button Clasp. The case is 9.85 mm thick and the crown diameter is 6.0 mm. 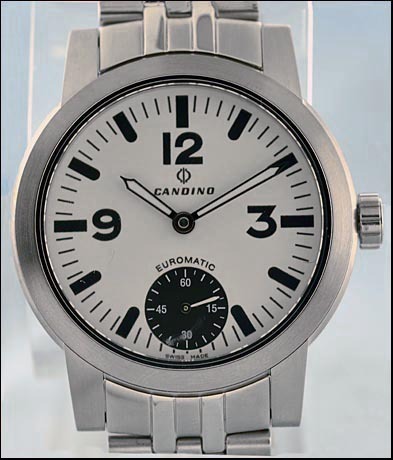 The Candino Euromatic Case for the manual wind ETA 6498-1 movement is water resistant to 10 ATM. 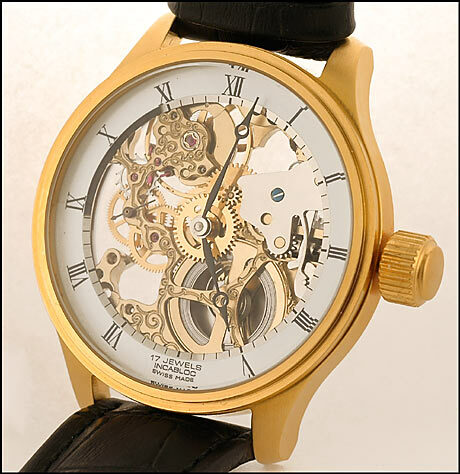 48 mm Swiss Made Large Gold Plated Wrist Watch with Gold Plated Skeletonize ETA 6497-1 Movement. Black Roman Numerals on White Skeleton Dial Ring. 22 mm Black Leather Band. 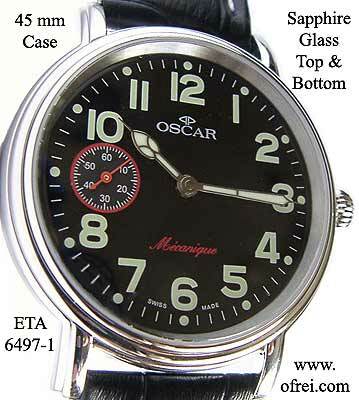 Your Oscar timepiece is guaranteed against manufacturing defects from one year from date of purchase. The guarantee does not cover bracelets, crystals, wear to the case, moisture damage if non water-resistant model or Salt water or Chorine pool chemicals. Even water-resistant watches should never be worn while swimming or showering. Divers Watches need service to have the gaskets replaced every time they are used in salt water. This guarantee does not apply if there is evidence of misuse or abuse, including defects related to servicing done by non-authorized agents during the warranty period. 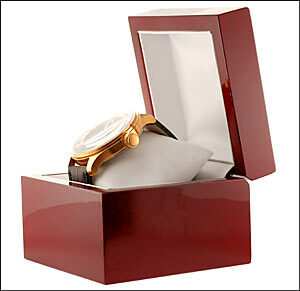 Supplied with Premium Rosewood Watch Box w/White Leatherette Lining. Choisi Manufacture Sample Line. 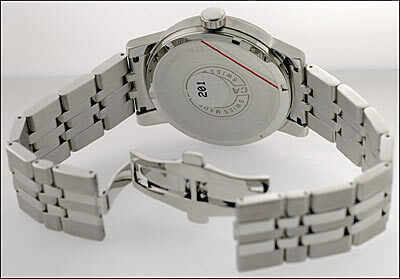 Watches are not in brand new condition. Item may have minor nicks and scratches. Dial has some sort of dirt/grime at the one o'clock position. 48 mm Swiss Made Large Stainless Steel Pocket Watch with Nickel Plated ETA 6498-1 Hammer Finish Movement. Silver Dot Markers on Silver Dial. 22 mm Tan Leather Watch Fob. 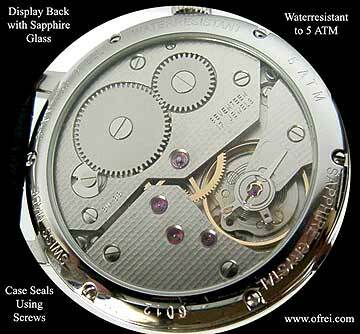 45 mm Diameter See Thru Back Case with Sapphire Glass Crystals on the Front. 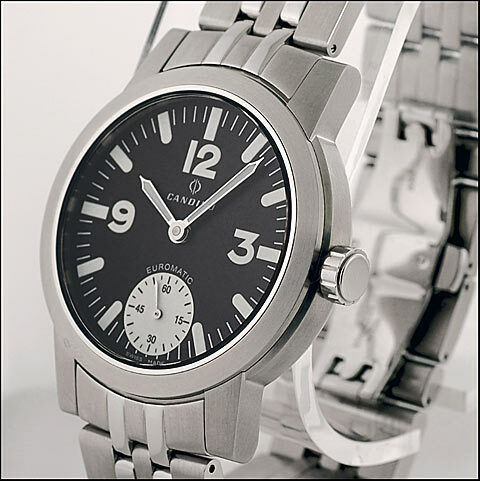 Stainless Steel 5 ATM Water Resistant Case is sealed tight by using case back screws. 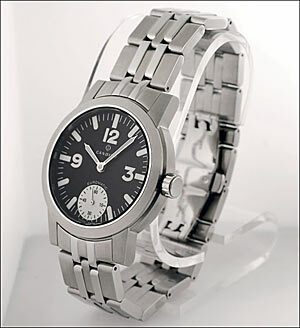 Your Oscar timepiece is guaranteed against manufacturing defects from one year from date of purchase. The guarantee does not cover bracelets, crystals, wear to the case, moisture damage if non water-resistant model or Salt water or Chorine pool chemicals. Even water-resistant watches should never be worn while swimming or showering. Divers Watches need to be serviced and have the gaskets replaced every time they are used in salt water. 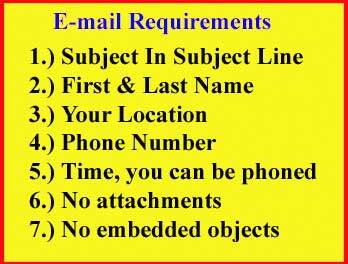 This guarantee does not apply if there is evidence of misuse or abuse, including defects related to servicing done by non-authorized agents during the warranty period.